The public is invited to attend all of the events. Admission is free. On Monday, April 6, at 7:30 p.m., Hope students will share their stories about living with their disabilities. The event will take place in the Granberg Room of the Van Wylen Library. On Tuesday, April 7, visitors will be able to simulate a variety of disabilities, including mobility impairment, hearing impairment, vision impairment and learning disabilities, as well as have an opportunity to gather information about a number of hidden disabilities. The simulations will run from 9 a.m. to 4 p.m. in the main-floor lounge of the DeWitt Center. 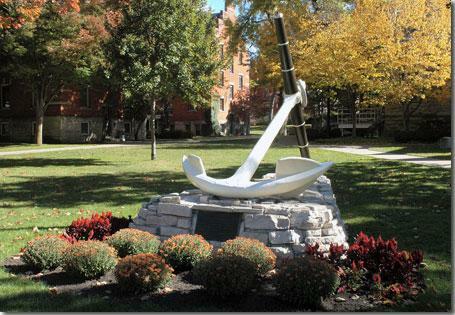 “Finding Your Pathway to Recovery,” an overview of the Grand Rapids-based Navigate program, will be presented on Tuesday, April 7, at 7 p.m. in the Fried-Hemenway Auditorium of the Martha Miller Center for Global Communication. Navigate, an initiative of InterAct of Michigan Inc., provides a team-based, multi-aspect approach to treating first-episode psychosis, supporting individuals of ages 15-30 to find their path of recovery through early detection and intervention. The speakers will be Carey Laarman, Sarah Exoo and Kathy Speeter of the Navigate staff. On Tuesday, April 7, at 9 p.m., a descriptive video version of the film “Big Hero 6” will be shown on the main-floor lounge of the DeWitt Center. The film includes audio description of action on screen for those with visual impairments and closed captioning for those with hearing impairments. The week’s keynote event, the address “Are You One of the SPECIAL People?,” will be presented by Louise Shumaker, director of disability services at Hope, on Wednesday, April 8, at 7 p.m. in Cook Auditorium of the De Pree Art Center. Shumaker will share perspective on ways to interact with people who have disabilities. Shumaker has been a member of the Hope staff since 1987. The college’s office of disability services offers assistance to all students with disabilities both in the classroom and in day-to-day life on campus, seeking to equip them with skills which will promote independent living after they leave Hope and pursue careers anywhere in the world, and Shumaker has mentored more than 500 students with disabilities during her 27 years at Hope. She has also been active in working at the local and state level on behalf of those with disabilities, and among other service is a past president of the Michigan Commission on Handicapper Higher Education. She has received external awards including the “Ability Award” in 2012 from the Disability Network/Lakeshore; the “State Advocate of the Year” award presented in 1995 by the Statewide Independent Living Council, the Michigan Commission on Disability Concerns and the Michigan Association of Centers for Independent Living; and the “Michigan State Victory Award” presented in 1993 by Governor John Engler as part of the national Victory Awards sponsored by the National Rehabilitation Hospital in Washington, D.C.
On Thursday, April 9, at 9 p.m., a descriptive video version of the film “Divergent” will be shown on the main-floor lounge of the DeWitt Center. The film includes audio description of action on screen for those with visual impairments and closed captioning for those with hearing impairments. The week will close with an ice cream social on Friday, April 10, from 2 p.m. to 4 p.m. in the DeWitt Center Kletz. In addition to the activities open to the public, Disability Awareness Week will feature a wheelchair challenge on Monday, April 6, that will have invited members of the college’s student body, faculty and staff undergo a mobility impairment simulation for six, 12 or 24 hours. The De Pree Art Center is located at 160 E. 12th St., on Columbia Avenue at 12th Street. The DeWitt Center is located at 141 E. 12th St., on Columbia Avenue at 12th Street. The Martha Miller Center for Global Communication is located at 257 Columbia Ave., on Columbia Avenue at 10th Street. The Van Wylen Library is located at 53 Graves Place (11th St.), between 10th and 12th streets on College Avenue. Hope College will present a wind chamber recital on Saturday, April 11, at 7:30 p.m. in Wichers Auditorium of Nykerk Hall of Music. Dr. David Van Wylen of the St. Olaf College biology faculty has been named dean for the natural and applied sciences at Hope College.